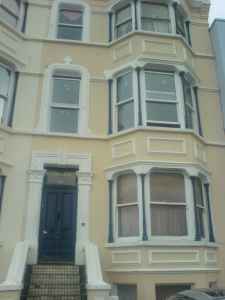 Margate property, two bedroom flat for sale in Margate, Kent. 2 Bedroom Flat in Margate Town Centre, Kent. I'm offering this unfinished refurbishment project because I'm out of funds. New windows have been installed. The existing kitchen, bathroom and all the other debris has been removed. Work has been started on the false ceilings, and some electrical work has been done. The flat is on the first floor.